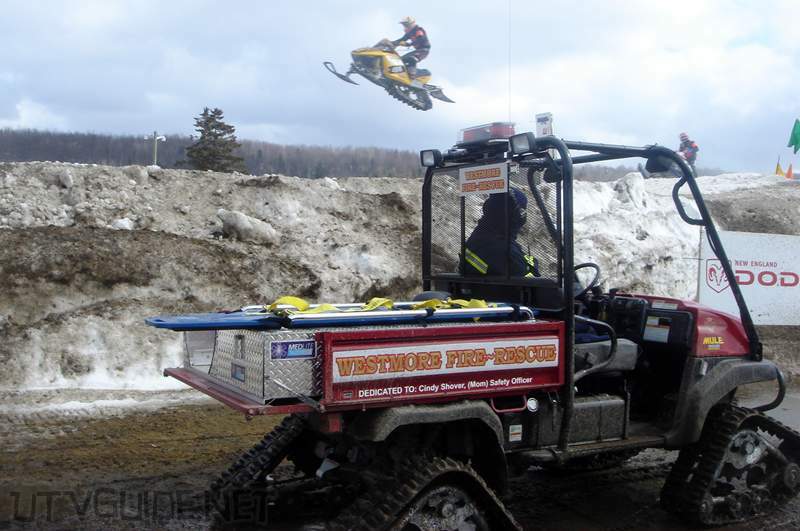 The Westmore Fire-Rescue in Westmore, Vermont us their Kawasaki Mule 3010 all year round. 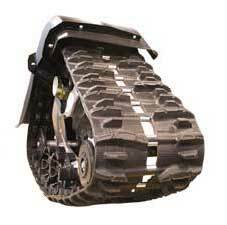 In the winter it is fitted with tracks and the rest of the year it has normal wheels and tires. 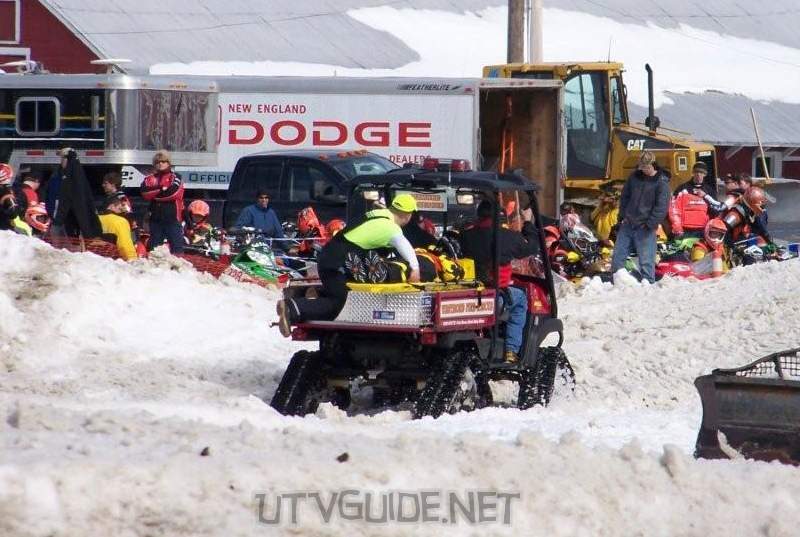 The vehicle allows the fire department to reach remote areas used by snowmobilers and hikers. 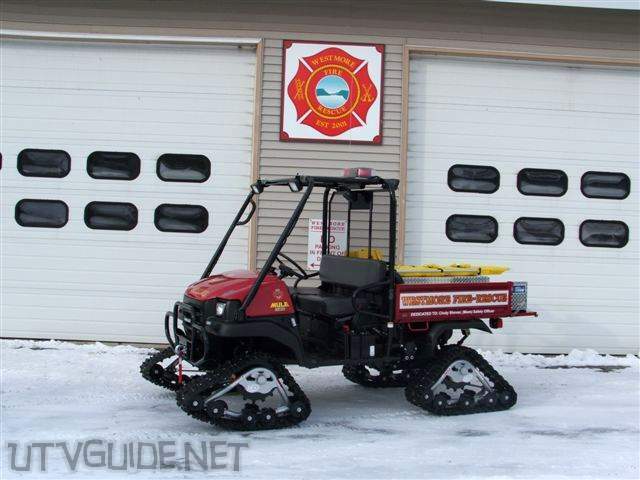 Designed by Firefighters and Emergency Medical Technicians for use by all public safety agencies. This design puts the patient and the medical care attendant front and center. 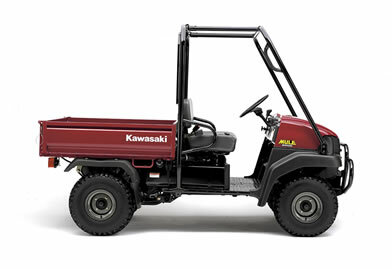 It is built for rough terrain to be used in all weather situations. Made of aluminum, it is rugged, rust proof and affordable. 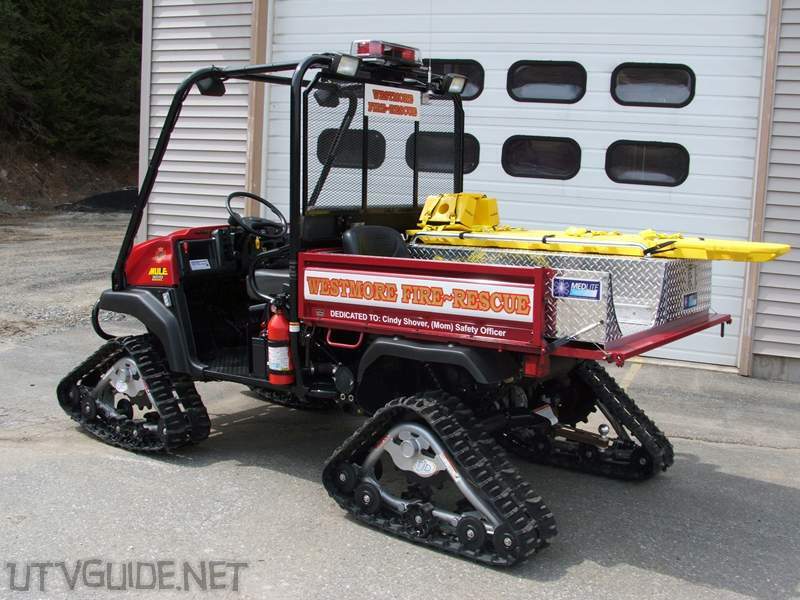 This emergency rescue skid unit is designed to quickly turn any UTV utility vehicle into a “mini ambulance”. The MEDLITE Transport is designed to carry one patient, one EMS attendant and assorted emergency gear. The long board is easily attached to the unit using 10 Velcro D loop straps which are included. 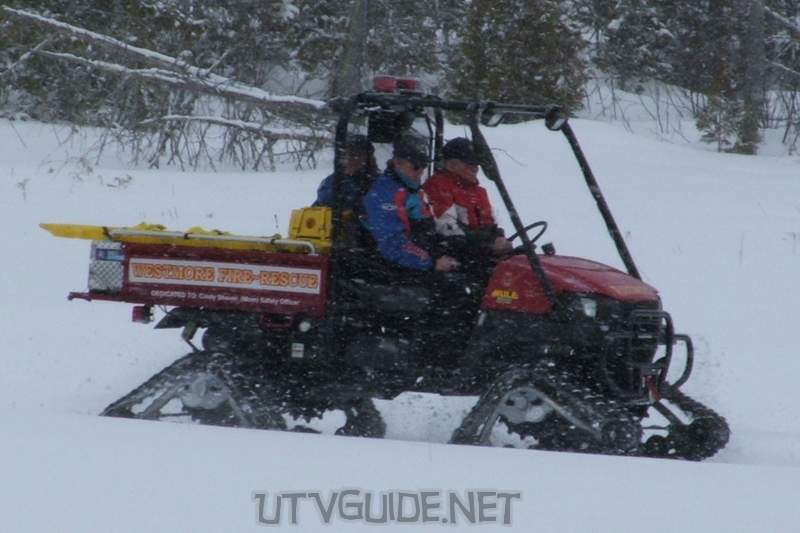 The attendants seat with seat belt glides on wheels the entire length of the unit and is able to be locked in three different locations along the guide rails to meet any emergency situation. It has 9 cubic feet of enclosed storage under the patient area for medical bags, trauma supplies and oxygen. The unit comes standard with a retractable IV pole. 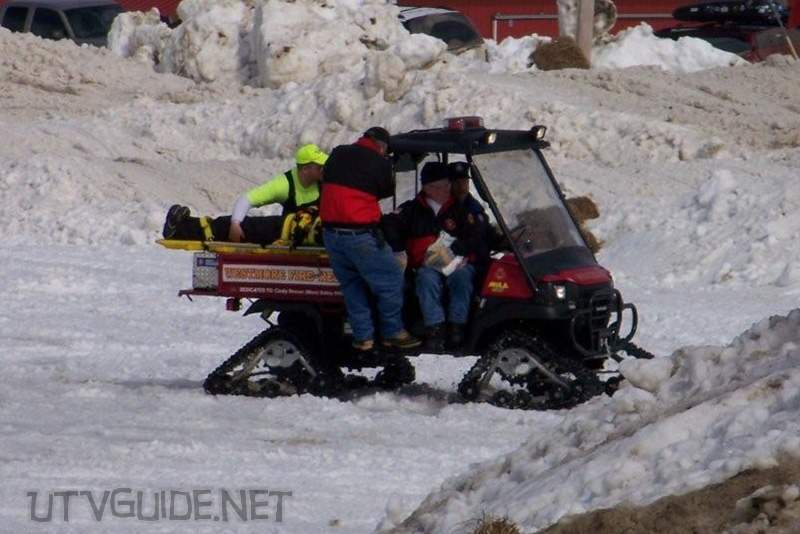 When it comes to off road rescues, safety and patient comfort are the key. 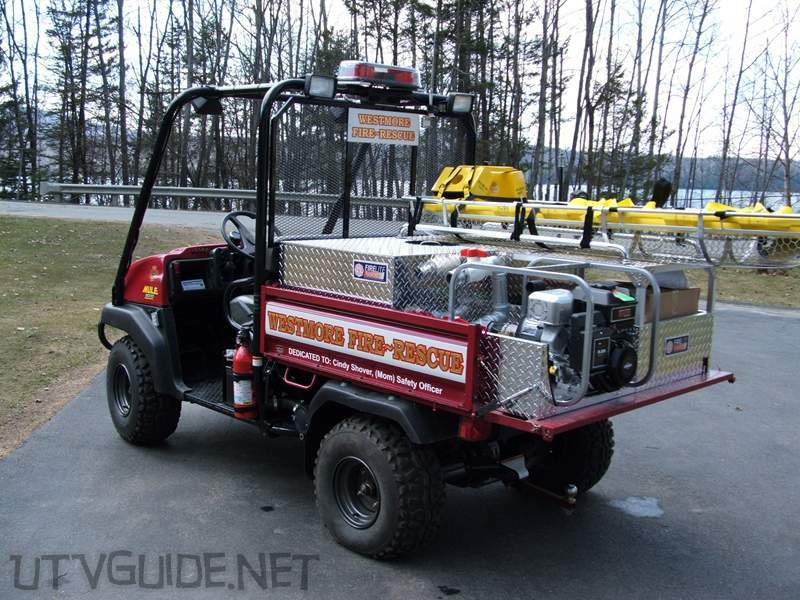 Whether you are using it as a medical rescue or for a third passenger during search and rescues, the MEDLITE Transport slide in skid unit should meet all your needs. The MEDLITE Transport Deluxe includes all standard items on MEDLITE Transport plus a slide-out tray in the storage area; 02 holder to hold a standard size “D” bottle with regulator; and 3rd Attendant Rail. 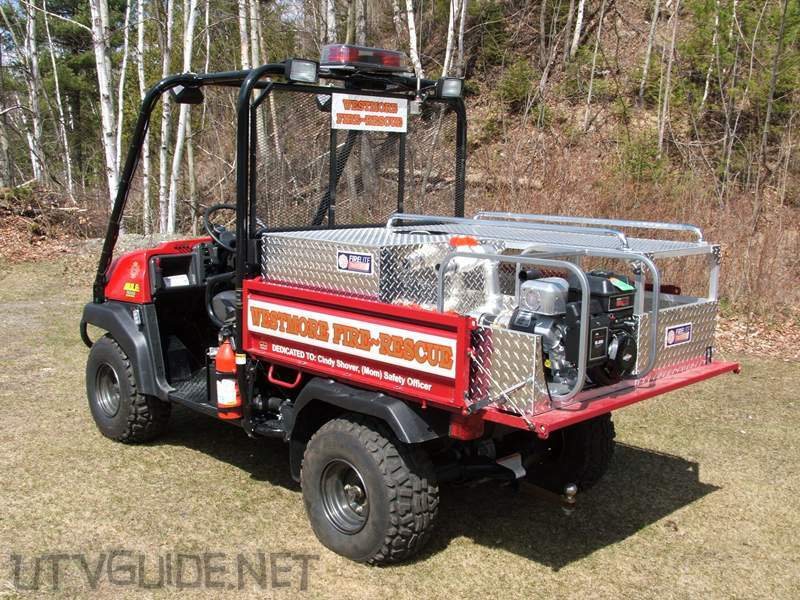 Unit comes complete with the Pacer® Deluxe Fire Fighting System: Includes a centrifugal, gas driven pump powered by a 5.5 HP Briggs & Stratton OHV engine able to self prime to 25′ with initial charge; 20′ of 2″ suction hose with strainer; 125′ of 1-1/2″ NPT discharge hose with 1-1/2″ adjustable spray nozzle; pump comes with lightweight roll cage; 60 GPM @ 45 PSI to 200 GPM @ 5 PSI. Integrated 75 gallon poly tank with quick disconnect from pump. 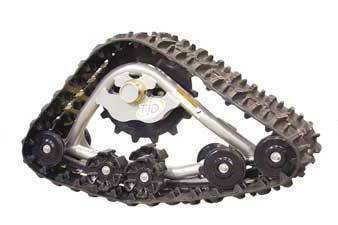 The TJD tracks are great for deep snow, mud and sand. 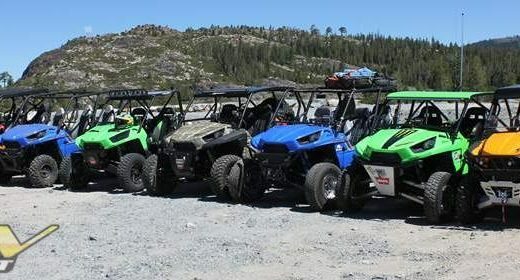 The tracks provide for much greater floatation and traction. 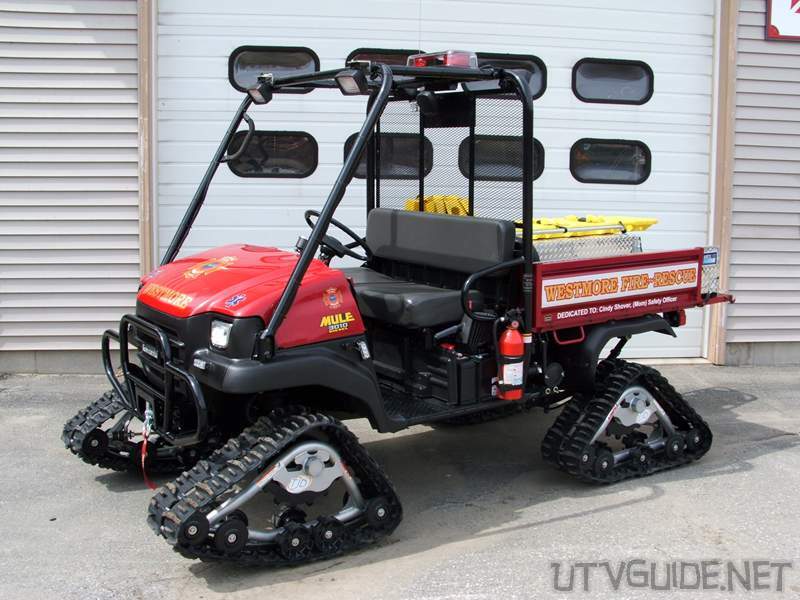 The tracks give the Mule about 5″ more ground clearance over stock tires. 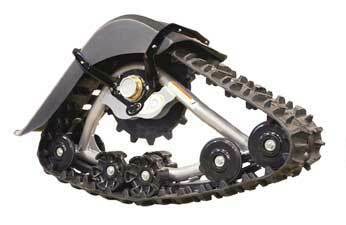 Tracks can be installed in less than an hour and then back to standard tires and wheels in about the same time. 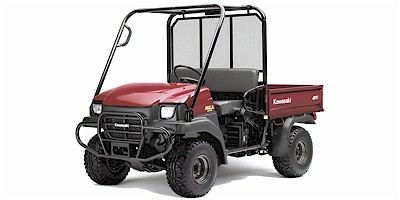 Cargo bed capacity: 803 lbs.